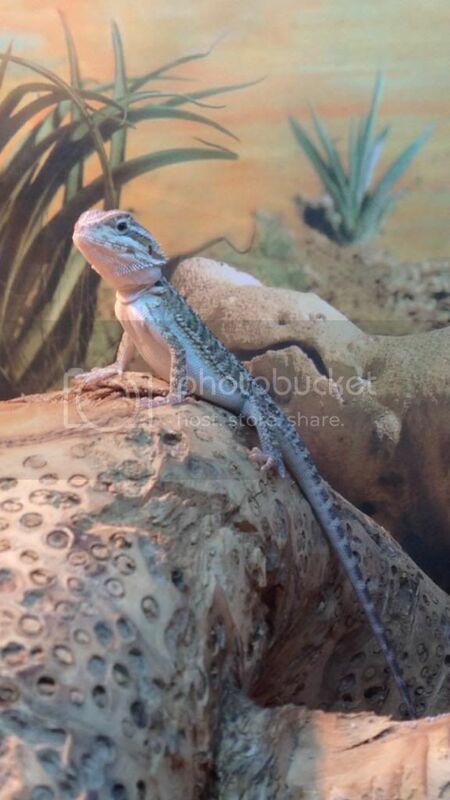 mybeardeddragons.co.uk • View topic - My baby bearded dragon - yet to be named. My baby bearded dragon - yet to be named. Post subject: My baby bearded dragon - yet to be named. Went to pick up my little dragon today. There was loads of them running around and this little fella really stuck out. Has gone some nice orange marks dotted around. He seems to have settled in nicely running around exploring everything and even ate some veg. Post subject: Re: My baby bearded dragon - yet to be named. He looks cute and alert - lovely little beardie!